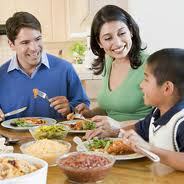 Get your child on the path to healthy eating. Your child learns by watching you. Read Eau Claire County newsletters for kid-friendly healthy eating ideas and recipes.